The most deformative experiences in life often turn out to be the most formative. In times of crisis, we can help people see this as we are present with them. Go. If you are able, go. “I’m not sure if I should.” A little saying that I heard years ago that has never let me down: “If you don’t whether to go or stay, Go. If you don’t know whether to go now or later, go now.” I’m always glad when I’ve applied this. Be present. Aloneness and Isolation are among the most painful emotional & spiritual experiences. Yesterday, we made assessments of property damage in one of our hardest hit areas, and we found broken people that feel alone. And when you’re alone, small issues get bigger & bigger & can overwhelm the heart. Do what you can to be present. Today, we’ll be working on removing trees from homes of some elderly residents, purchasing grocery store gift cards for people who are returning home to spoiled refrigerators, & doing what we can to be present for those hurting in our community. 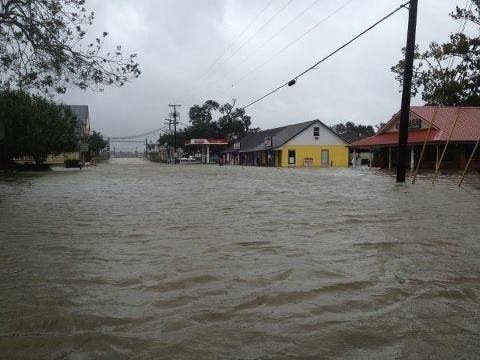 You can give to the Hurricane Relief Efforts of Bridge Church here. Posted on September 3, 2012, in Faith In Action, Hurricane Isaac. Bookmark the permalink. Leave a comment.